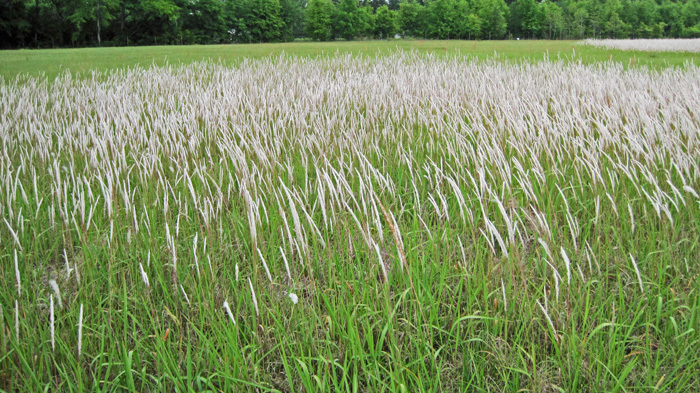 Cogongrass was accidentally introduced into Alabama in the 1900’s, but intentionally brought to Florida in the 1930’s as a potential forage and soil stabilizer. Currently it can be found in 73 countries and on every continent. 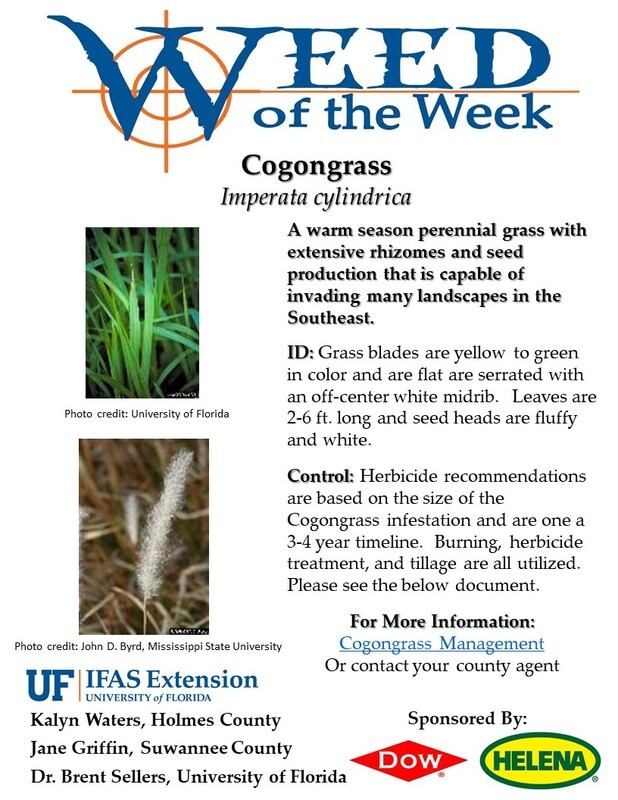 Since being introduced Cogongrass has spread to nearly every county in Florida, and today is considered a major pest issue. This warm-season perennial grass species, has an extensive root system, with 60% of the plant’s total biomass underground, which makes control very difficult. For assistance with weed identification or for developing a control plan for your operation, please contact your local county extension agent.